Drop on down and give the wassail a whirl! Downtown merchants will once again be competing for bragging rights for the best holiday brew during Wassail Fest! The event will be from 11AM to 3 PM Saturday, November 24th in honor of #SmallBizSaturday! 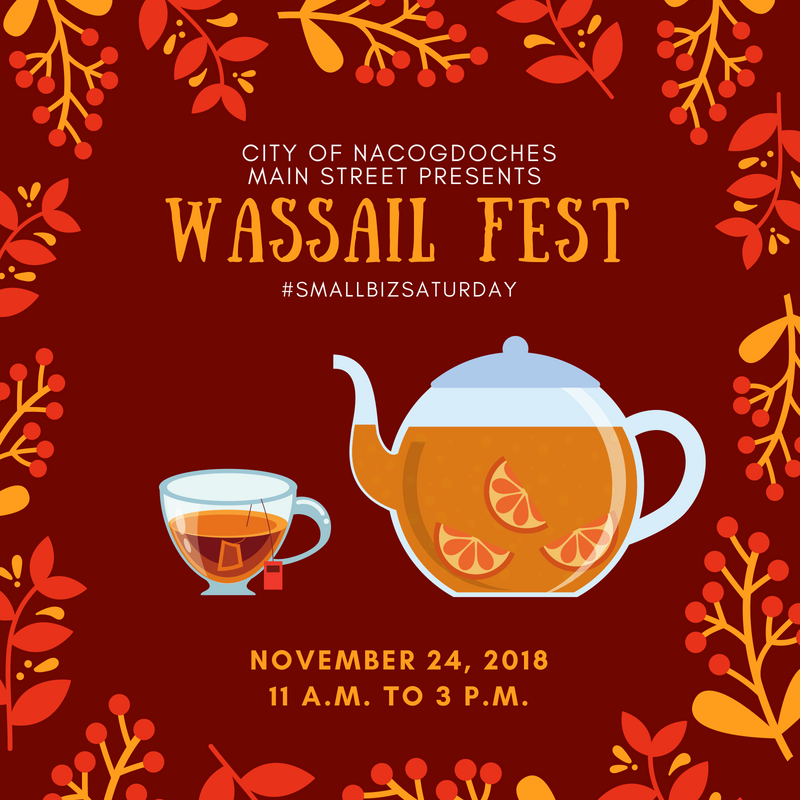 Wassail will be served at various locations inside the Nacogdoches Historic Downtown District. A list of participating merchants can be picked up at Visitor Center in the square. Once you try all the wassail you can handle, make sure to drop your vote in the ballot box of your favorite brew. Wassail winner will be announced on this page and on the Nacogdoches Main Street Facebook Page! Don’t forget: While you are here, finish up your Christmas shopping at downtown stores and get your loved ones those items you can only find when you shop local! ﻿This FREE EVENT is a great way to warmly welcome the holiday shopper into the festive season.